When Parkplace Books closed more than a year ago (due to redevelopment of the bookstore property), Kirkland lost its only independent bookstore. But all around Seattle, the indie bookstore scene is thriving, a trend not lost on former Parkplace co-owner Mary Harris and writer/poet Chris Jarmick, who sometimes helped out at Parkplace. They decided the time was ripe to open their own shop. Turns out, the community agreed. BookTree (609 Market St., Kirkland; 425.202.7791; booktreekirkland.com)—named after a tree sculpture that decorated the children’s area of Parkplace Books—opened its doors last November, fueled by a community that stepped up to help fund the shop to the tune of nearly $25,000. “Financial support from the community has been huge. It has helped build the community around the store,” says Harris. 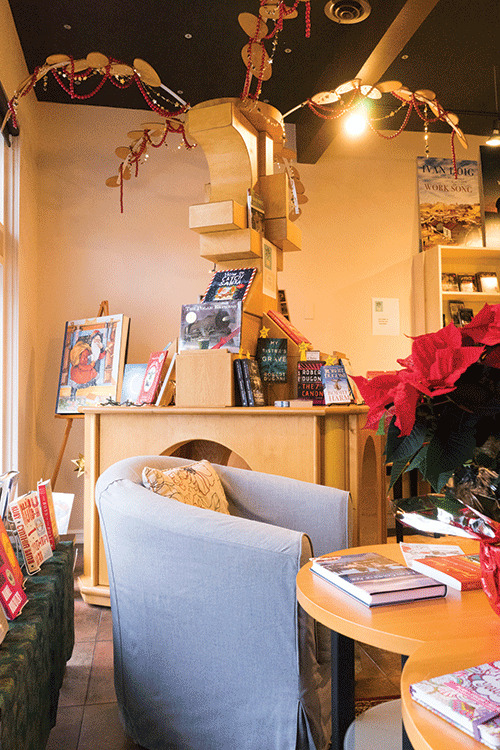 With nearly 20,000 books, the store is working to fulfill the owners’ vision of becoming a community gathering spot with author readings, holiday parties and book signings. Harris, who fell in love with bookstores when she worked in one while living in Australia, queried: “How could I live in a town without a bookstore?” With BookTree, she’s answered that question.